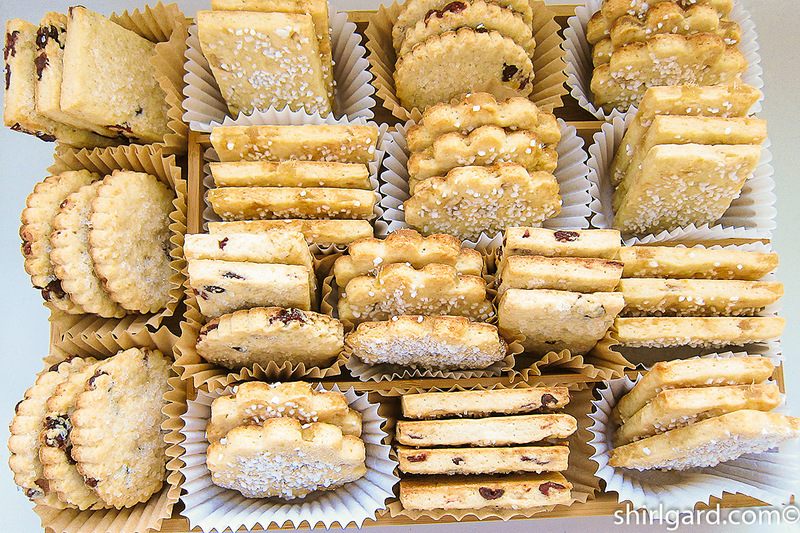 I love the concept of thin scones, which was inspired by Rose Levy Beranbaum. What’s so great about these is all the crust and crunchiness; when you bite into one, it’s truly a mouthful of crust. Regular scones have a soft center with crust on the top and bottom. 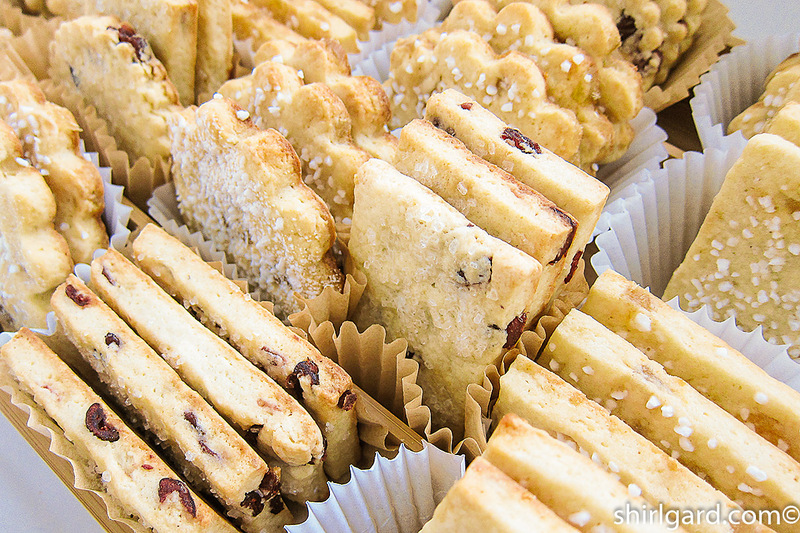 With Scone Thins, you get just the crust−wonderful crust. This is the second in what I hope will become my collection of Scone Thin Recipes. 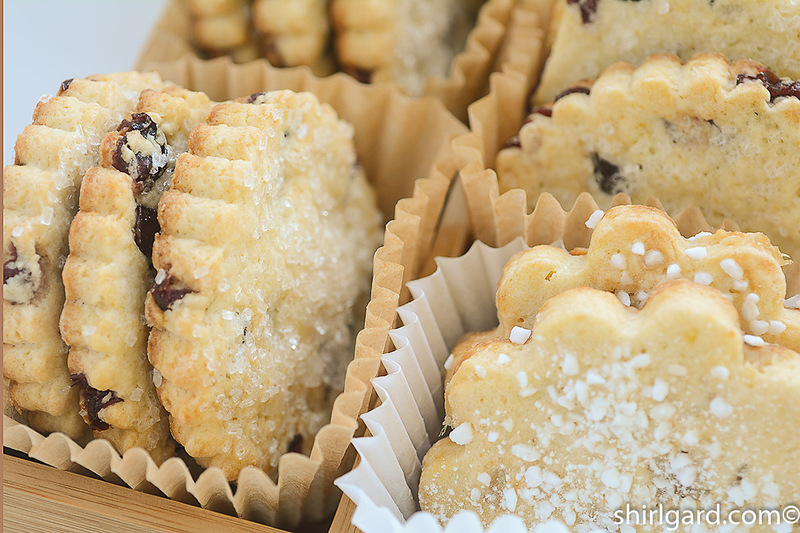 The first one was posted on 1.05.16 Cranberry Cream Cheese Scone Thins. 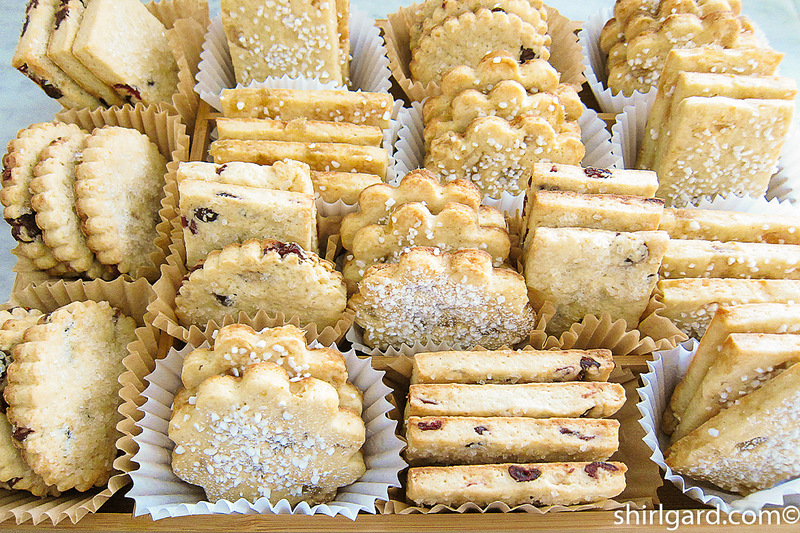 Scone Thins are easy to make and are the perfect do-ahead treat because the dough can be frozen at different stages and pulled out for baking when you need them. 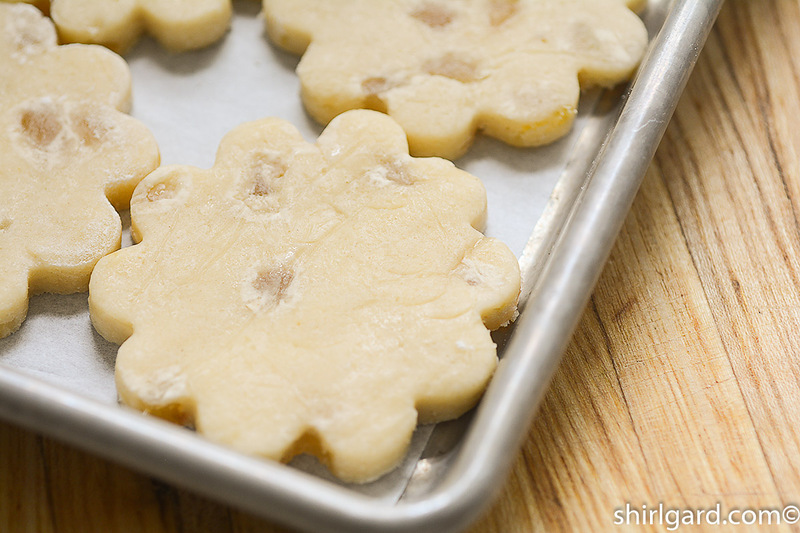 You can freeze the dough in sheets or you can go ahead and cut into desired shapes and freeze the cut-outs, ready to bake at a moment’s notice. The flavor of crystallized ginger (candied ginger) adds such zest and zing to this recipe. It’s both sweet and spicy at the same time and is one of my favorite add-in’s for muffins or scones−or ice cream, or cookies, or gingerbread, or cake batters. One of my all-time favorite recipes using crystallized ginger is Pumpkin Ginger Muffins. It is good in so many baked things. I usually buy crystallized ginger locally at specialty food store, but you can order it on-line also. Here’s a recipe for crystallized ginger that I would like to try, and you might too, from a cookbook author I trust: David Lebovitz. Young ginger is recommended by Lebovitz, because it will be more tender and less fibrous. Tools for working with Scone Thins. 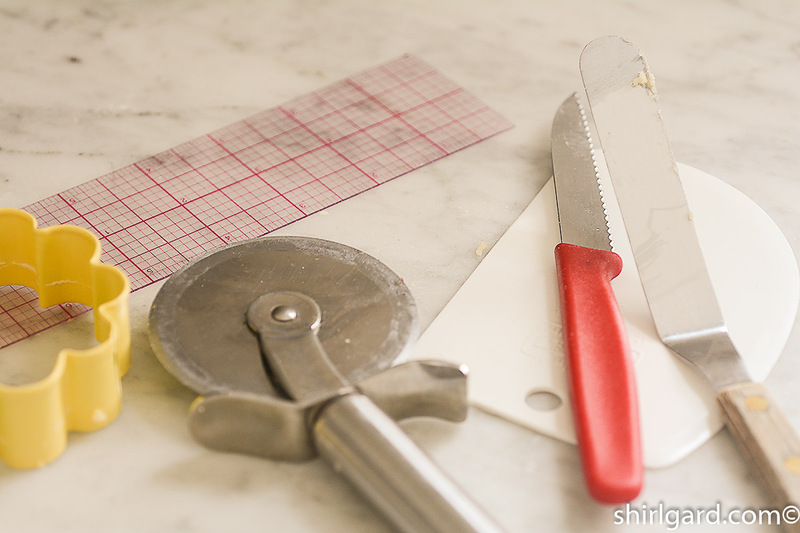 Use Pizza Wheel and C-Thru Ruler to cut rectangles. Use Scallop Cutter for the rounds. 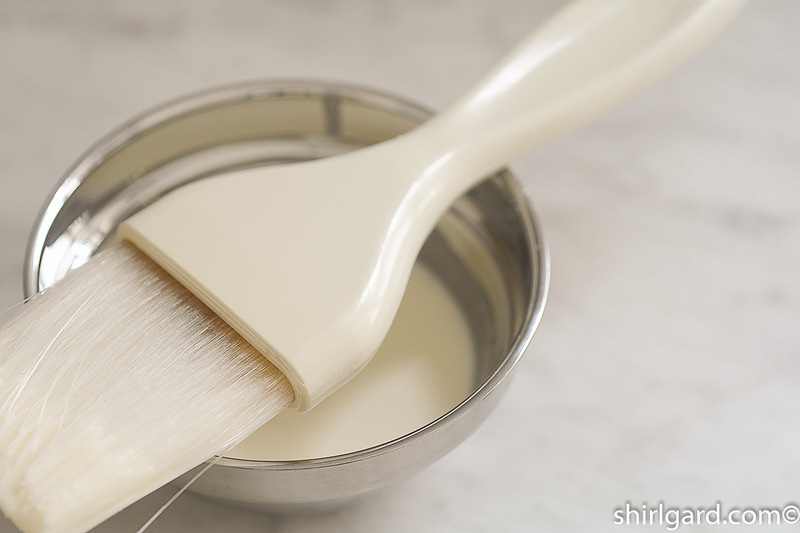 Brush tops with heavy cream. 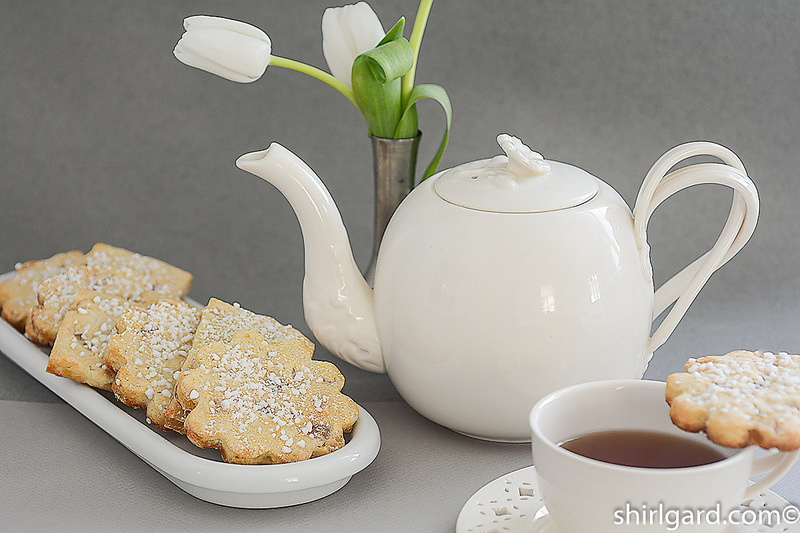 Sprinkle generously with Swedish Pearl Sugar. 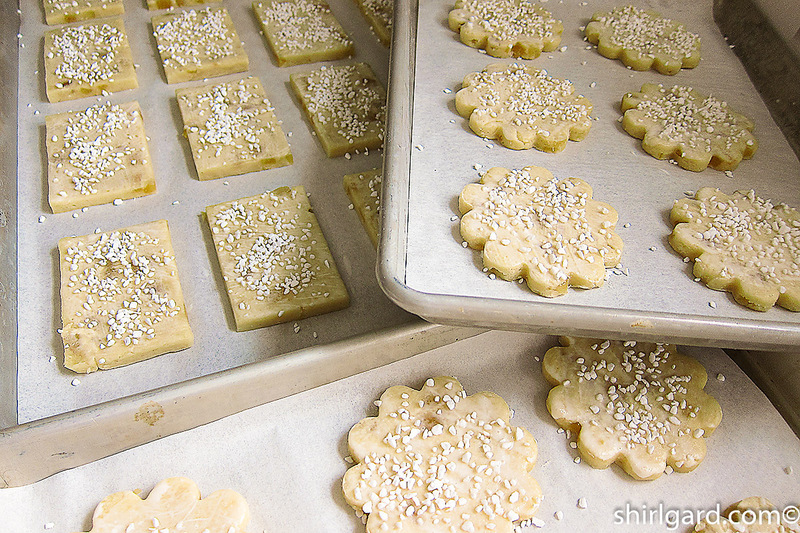 Brushed with cream and sprinkled with Pearl Sugar: Ready to bake. This is the second in what will become my collection of Scone Thins. 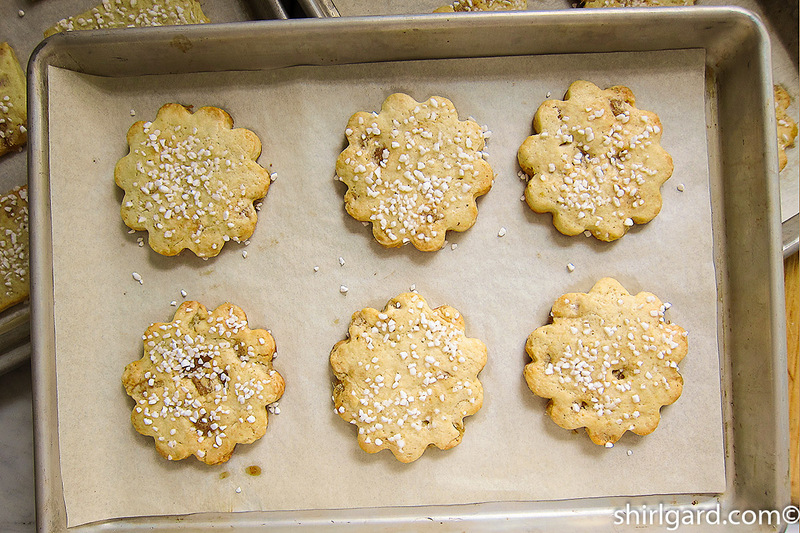 I love the concept of thin scones borrowed from Rose Levy Beranbaum (see Recipe Ancestry Notes). 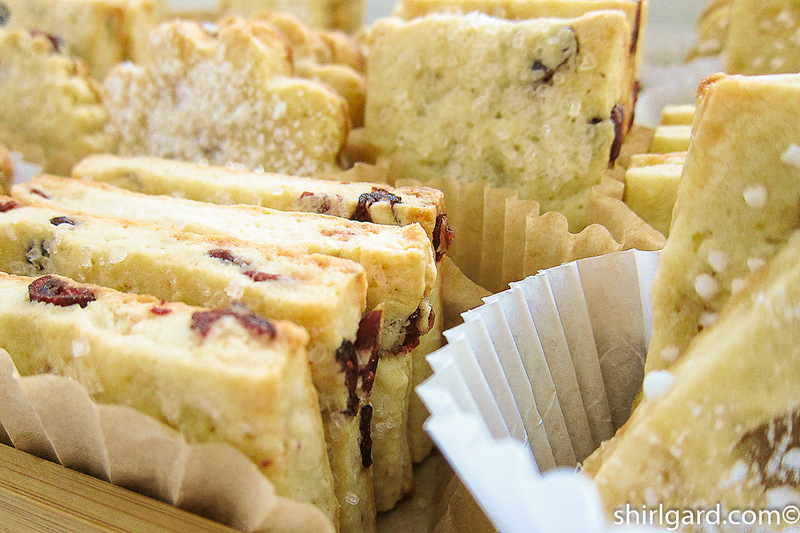 What Scone Thins amount to is a lot of crunch and crust, which is just what we want, right? They work for breakfast, coffee break, or teatime. SET UP a quarter-sheet pan lined with parchment paper. MIX dry ingredients in Kitchen Aid with the paddle until blended. Mix in cold butter until a coarse mealy texture is reached, with small bits of butter throughout. Or, rub in the butter by hand, which is what I like to do. WHISK together in a separate bowl the heavy cream, yogurt, eggs, and lemon zest or purée. Pour into the dry ingredients and mix, using a large rubber spatula, until the liquids are half absorbed. 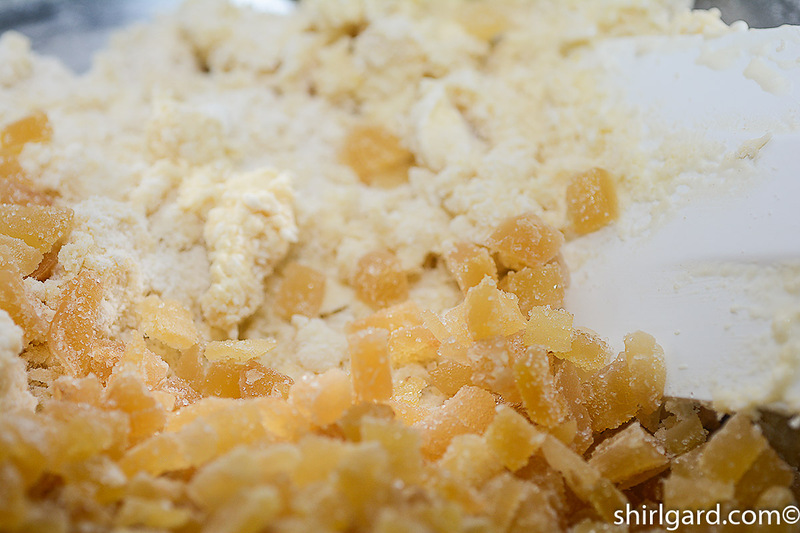 Scatter the candied ginger over the top and continue to mix just until the dough comes together. 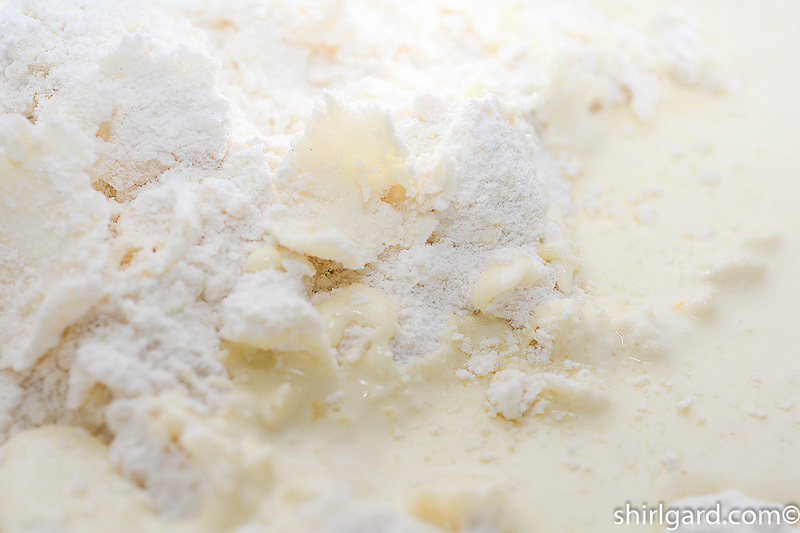 DUMP the dough out onto a lightly floured counter and press the dough together to incorporate all of the dry flour. 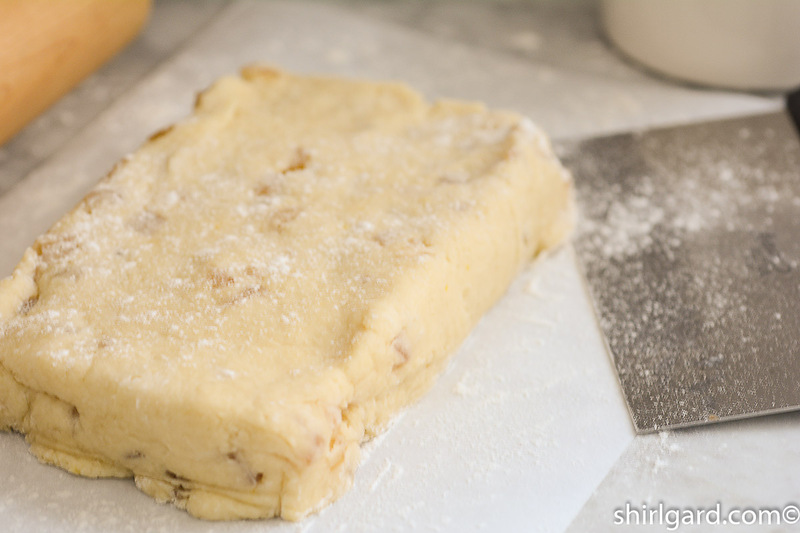 SCALE THE DOUGH: Divide into two portions scaled @ 565g each. .
FOR EACH PORTION: Press the dough out into 6" x 8" rectangle and fold in half. Do 2 more half-folds. 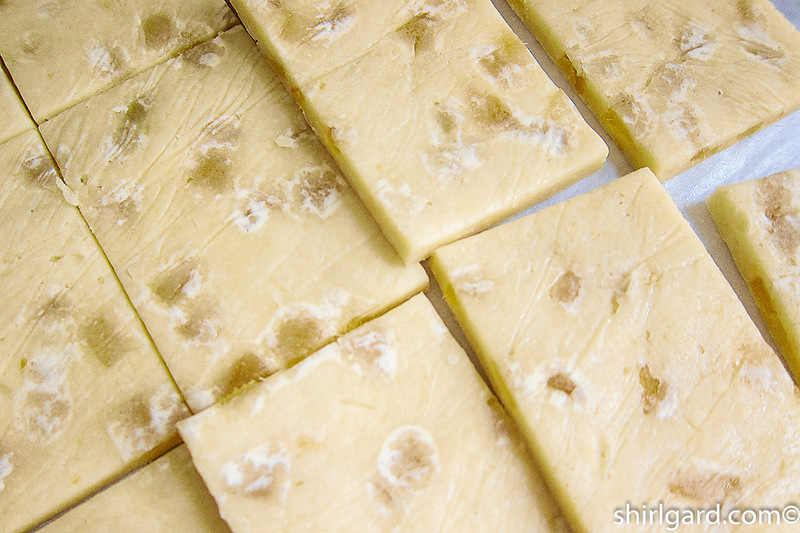 On a floured quarter-sheet of parchment, roll out each sheet of dough to an even thickness the size of the parchment, then transfer to the quarter sheet pan. The two sheets of dough can be stacked. 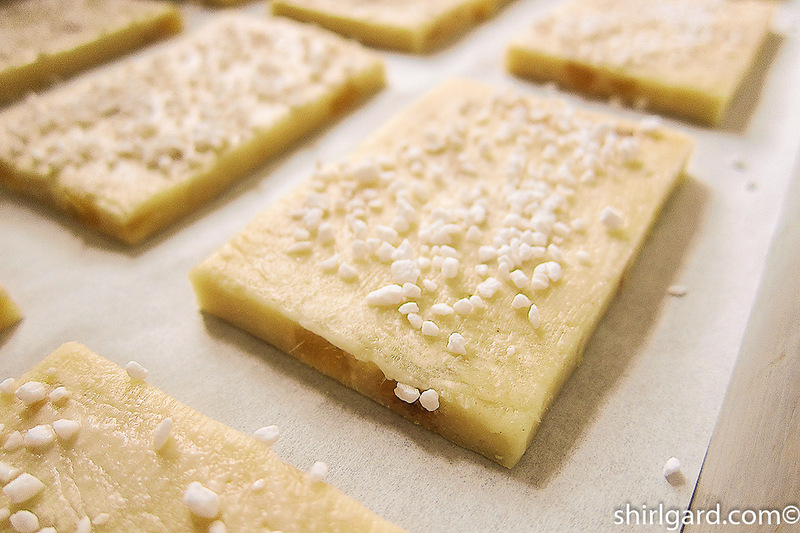 FREEZE or refrigerate until the dough sheets are firm enough to cut into either rounds or rectangles. 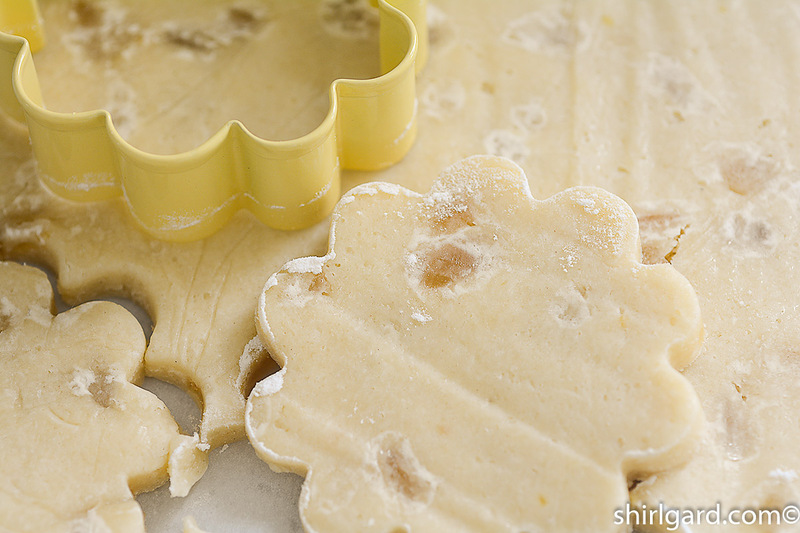 Note: At this point, the dough sheets can be frozen for up to three weeks and baked at a later date. 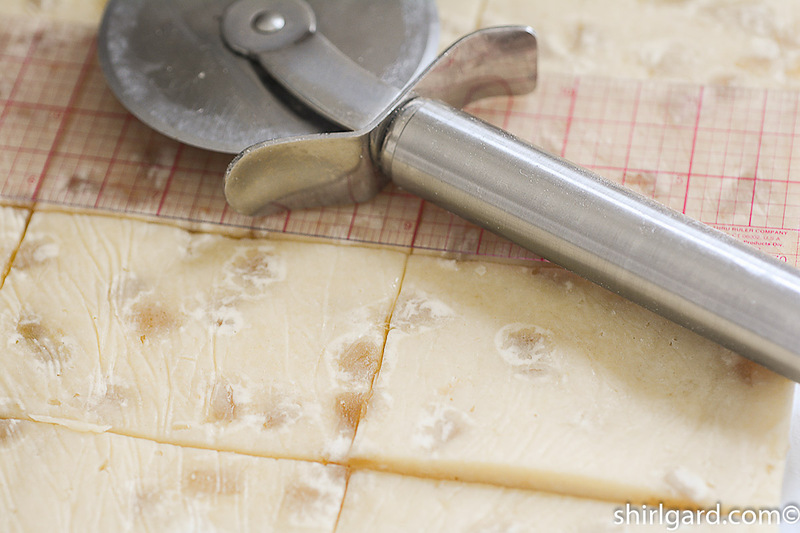 When ready to bake, temper the dough sheets about 20 minutes at room temperature before cutting. FOR SCALLOPED ROUNDS: Cut out rounds using a 2¾" scallop cutter. 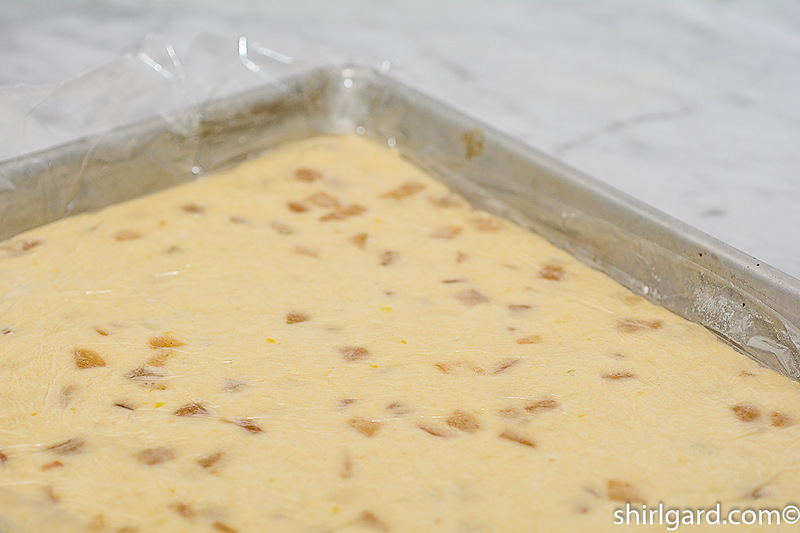 Bake right away or lay close together on a parchment-lined sheet pan and freeze until needed. 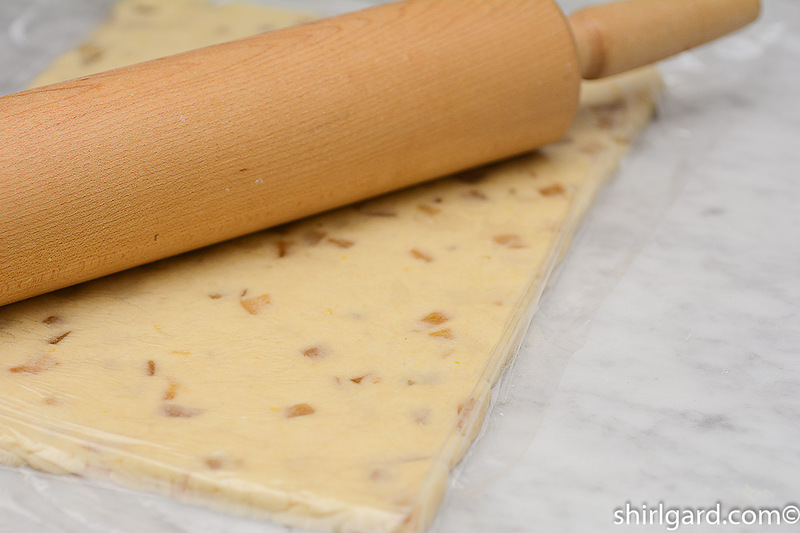 Bake off dough scraps for snacks. FOR RECTANGLES: Using a 2" wide C-Thru ruler, cut a sheet of dough crosswise into four 3" strips, then cut lengthwise into four 2" strips, creating 16 - 2" x 3" rectangles. 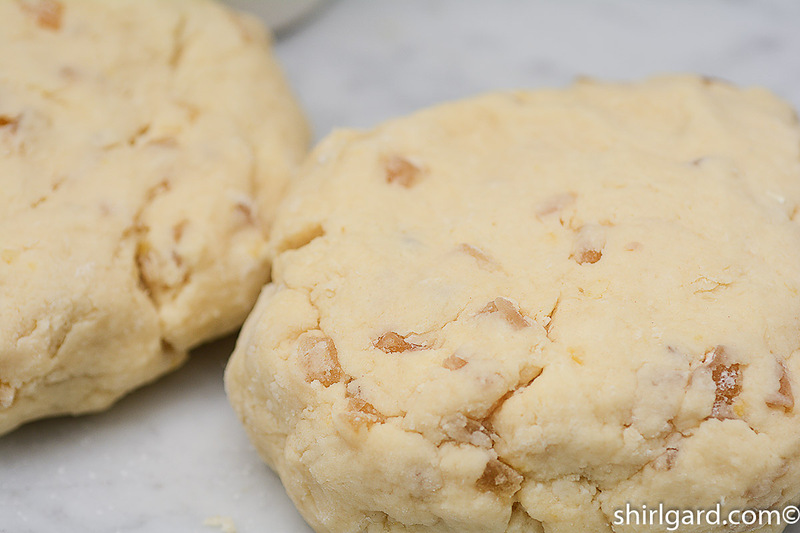 Bake right away or freeze until needed. 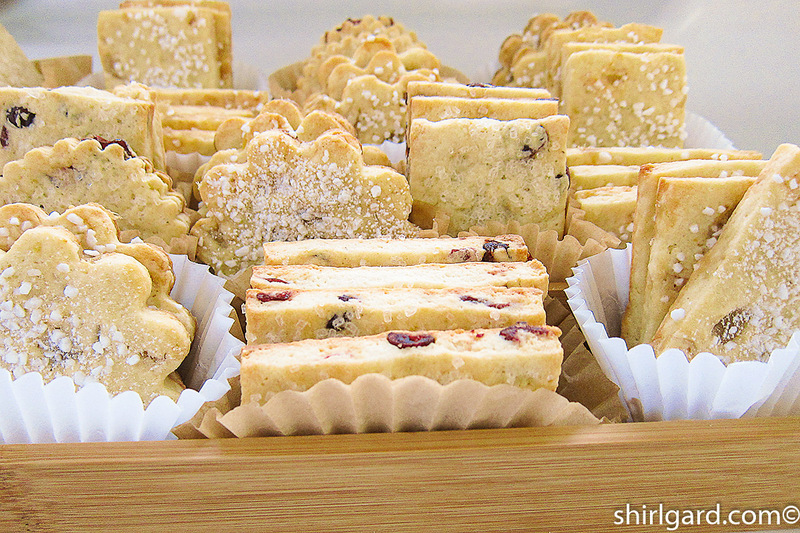 TO BAKE: Arrange partially frozen scone thins on a parchment-lined half-sheet pans. 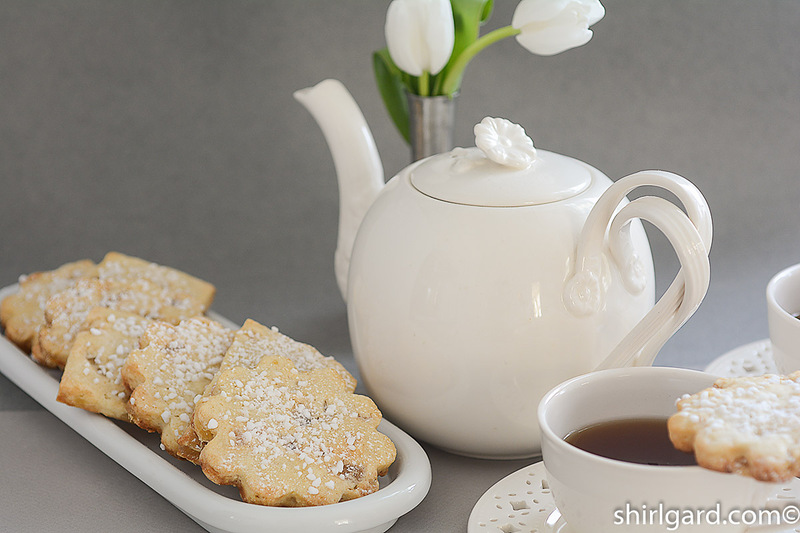 Brush tops with heavy cream and sprinkle generously with Swedish Pearl Sugar. BAKE at 400° F (204° C) for 15 - 17 minutes until golden brown. 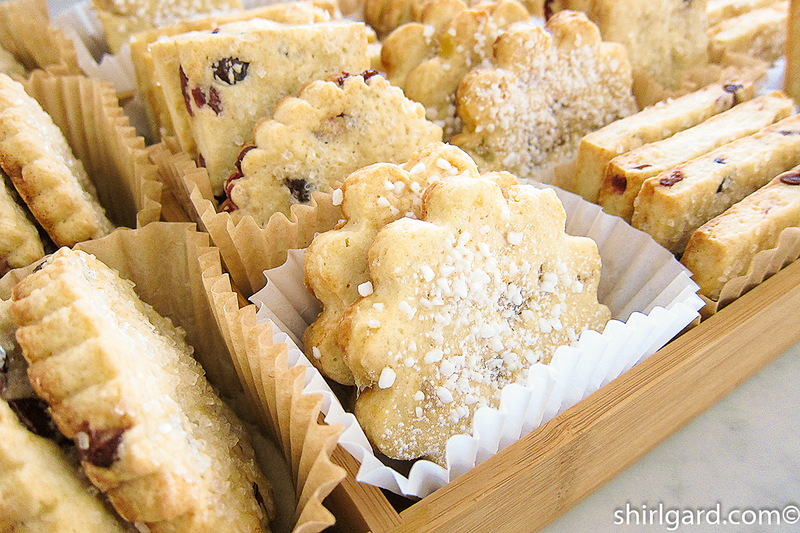 The scone recipe adapted fromNancy Silverton's Pastries From the La Brea Bakery (2000). 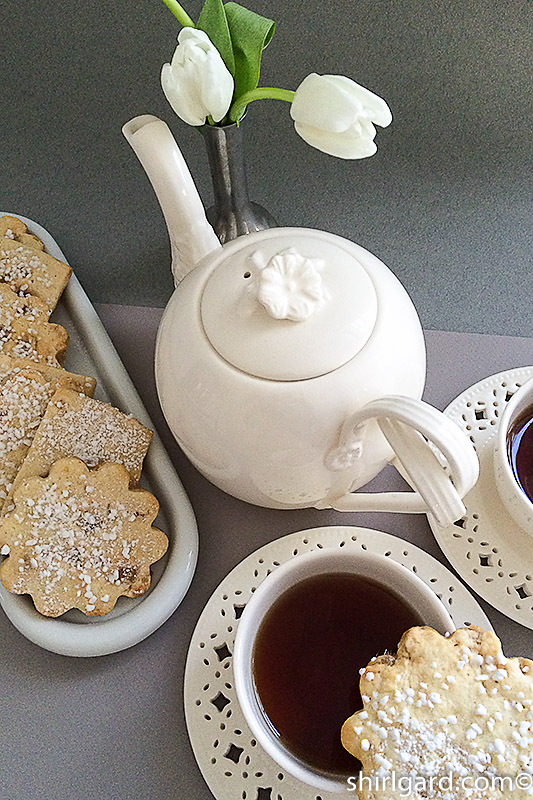 The concept for thin scones, which Rose calls Scone Toppers, was inspired by Rose Levy Beranbaum in her cookbookThe Baking Bible (2014).